An aura of mystery surrounds the ruins of the village of Prada. When was it built? How did its inhabitants live? And, above all, why was it abandoned? Surely there is that¸ located halfway up the mountain (577 m a.s.l. 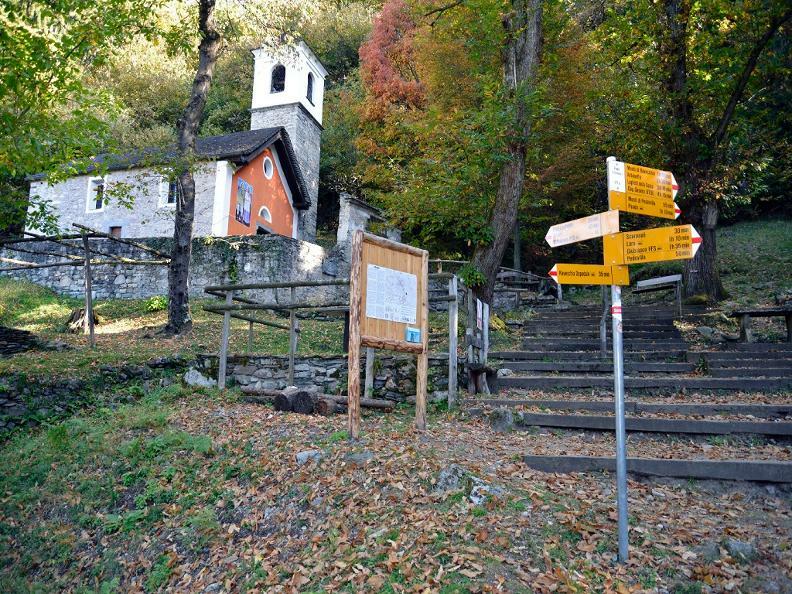 ), together with Ravecchia the village of Prada was part of the municipal territory of Bellinzona. 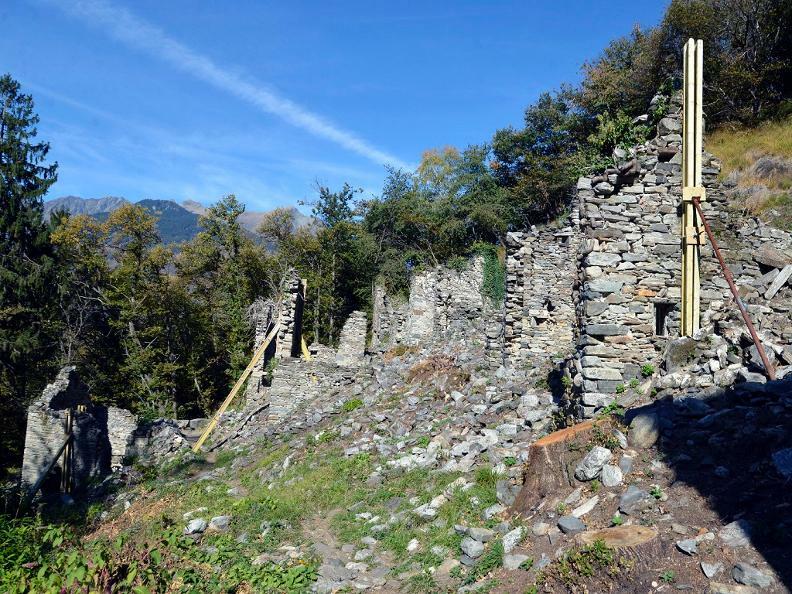 Inhabited since the Middle Ages (first certificate 1381), in 1583 still had 40 families (160 - 200 people) who enjoyed the same rights and privileges of those who lived in the village, with the right to attend meetings of the Council of Bellinzona. 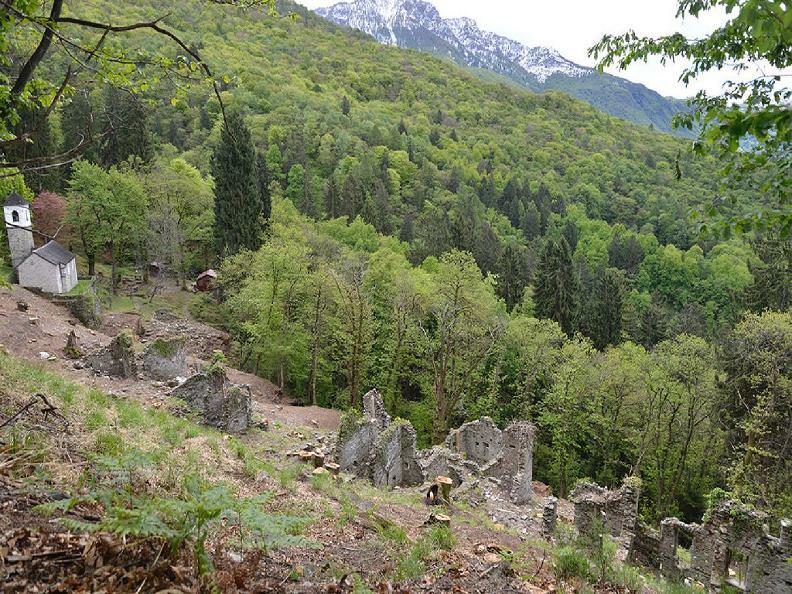 From the first half of the 1600s, the village was abandoned for unknown reasons. Various causes are hypothesized, including the plague epidemic, which raged in the region between 1629 and 1630, as well as adverse weather conditions. In Prada you can see more than thirty ruins of buildings, originally up to three floors high, which have been preserved until today thanks to the refined construction technique used for the buildings, which provided to strengthen the corners with larger stones and well squared as well as using lime mortar as a binder. The walls of the houses were plastered inside, while on the outside they were supposed to be flush with stone. The roofs were generally double-pitched with beola slabs, while the carpentry of the floors was made of wood. On the layout of the village you can see different groups of houses leaning against each other as modern terraced houses, this peculiarity so obvious is found only in Prada. 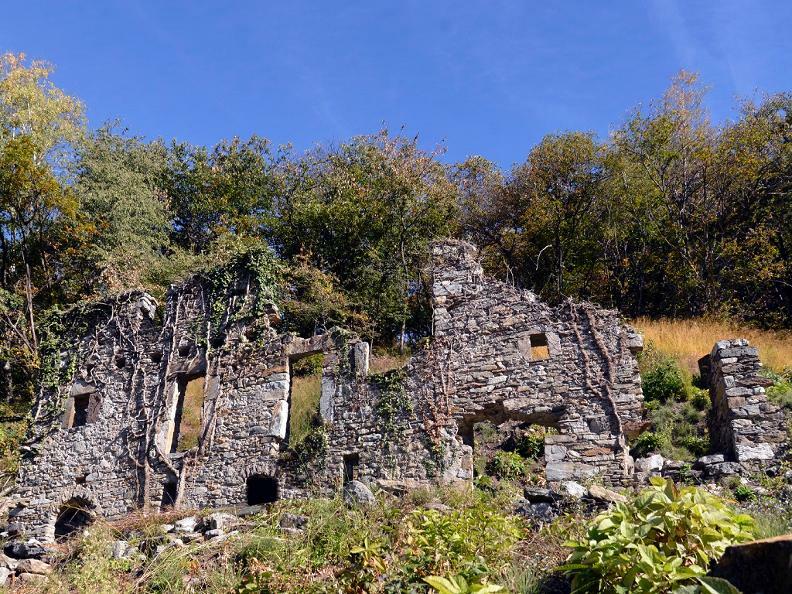 This peculiarity, together with the information on the life of its inhabitants, will be highlighted by the consolidation works that the Prada Foundation is about to carry out on some ruined buildings of the medieval village. The restoration of one of the best-preserved buildings is also planned, which will be restored and reconstructed in its missing parts and then used as a space for information and education. 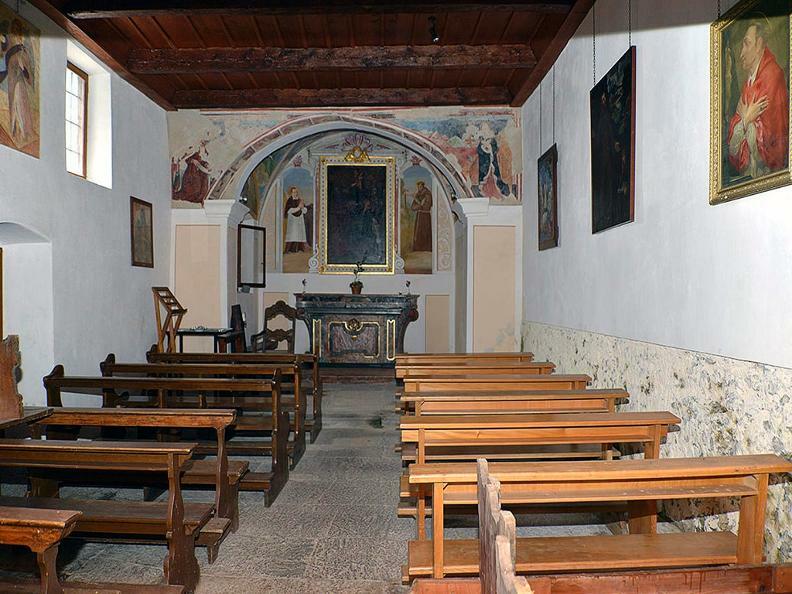 The church dedicated to Saints Girolamo and Rocco, attested since 1498, but probably already existed before, is the best preserved building of the ancient village. It was enlarged in the second half of 1600 and the current bell tower is from 1816, the sacred building was restored in the 80s of the last century thanks to the Associazione Nümm da Prada. Inside, on the triumphal arch, there are interesting late medieval frescoes that were restored in 2009.